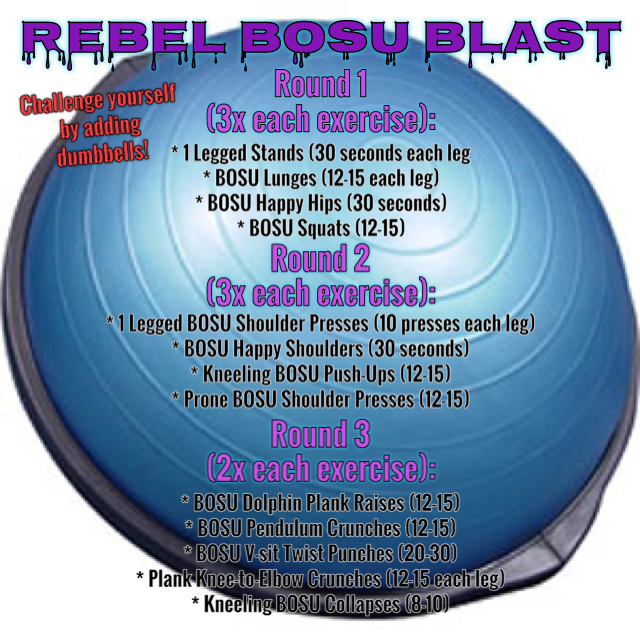 Save this photo to always have this workout handy! 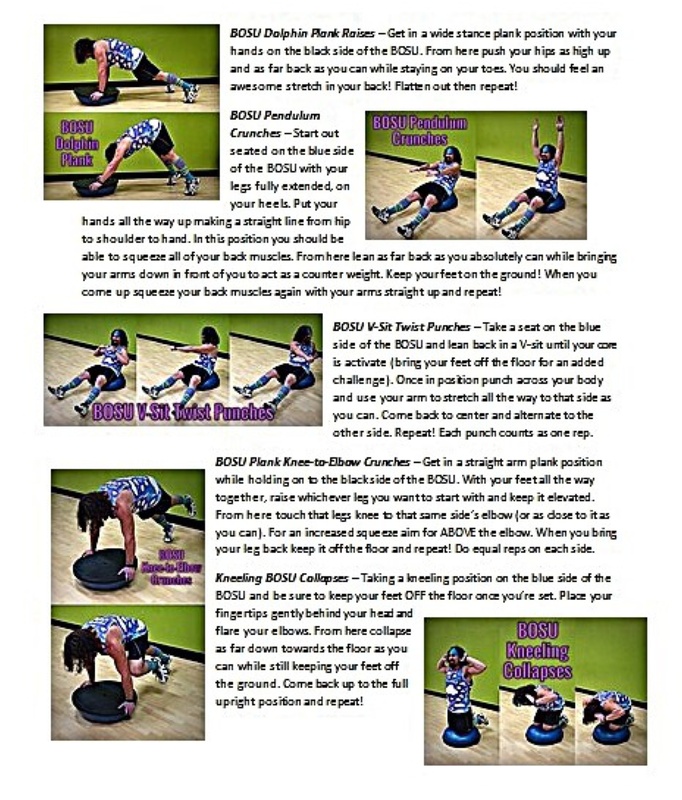 The BOSU (stands for “Both Sides Utilized”) is an amazing piece of equipment that can enhance your quality far beyond what people normally give it credit for. 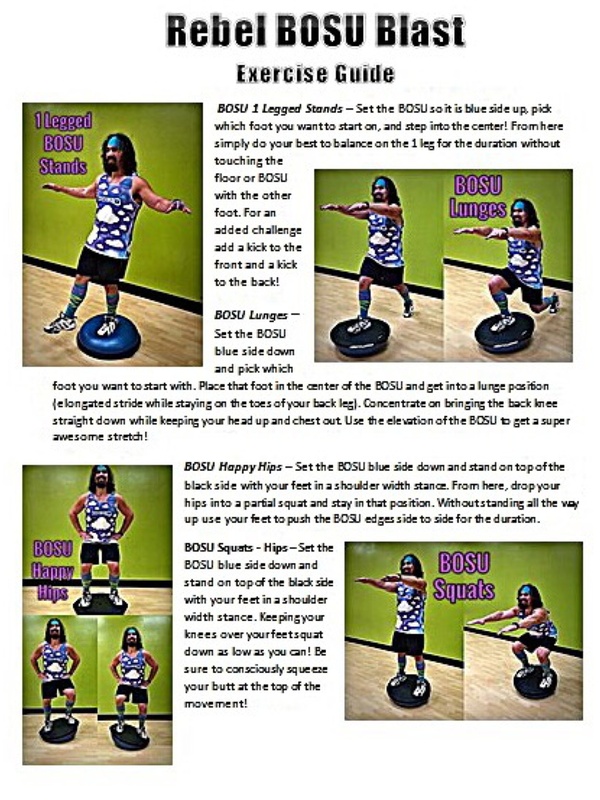 From working your body’s internal stabilizers to connecting your body’s kinetic chain the BOSU will help you achieve more flexibility, durability, body strength, and balance. On top of that it will reduce your injury potential drastically when utilized correctly and consistently!